Chefs Daily Food Bank: Toronto Mega Quarry is Dead! They hung the American Flag in honor of my visit. I see it as showing the world food brings us all together one way or another. 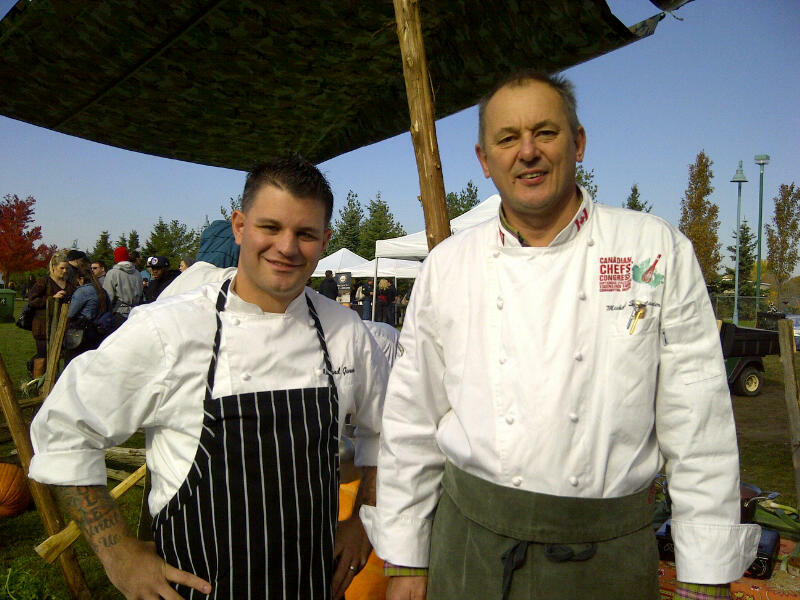 I posted about a month back about my trip to Toronto to stand with fellow culinarians from Canada in support of a movement to stop a proposed mega quarry on some of Ontarios most prized farm lands. A Boston based hedge-fund, the Baupost Group, was financially behind the quarry proposal and their company known as the Highland Companies, were found to have stretched the truth in order to get some farmers to sell their land for what they were told would be more farms. 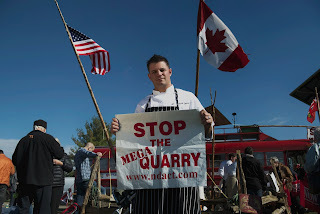 A couple years later, the proposal to build N. Americas largest quarry was filed with the Ontario government. I was humbled to be invited personally by Chef Michael Stadlander and The Candaian Chefs Congress to an event known as Soupstock, where I was part of and moved by over 200 of Canadas best chefs coming together along with some of Canadas most well known musicians, artists and most importantly over 45,000 people on a beautiful, warm sunny day in Ontarios Woodbine Park. This was also known as the largest culinary led protest in history. I guess the voices were heard! The proposed quarry in Melancthon is dead! Today, (Nov. 21), The Highland Companies announced it has withdrawn its application to the province for a licence to mine land in Melancthon for limestone. Highland also intends to discontinue its efforts to restore the rail corridor through Dufferin County. In addition, Highland announced that John Lowndes has resigned from his role as president and has no further involvement with the company. This is pure proof that food brings people together in many ways. I'm very happy to have been a very small part of such a huge victory!